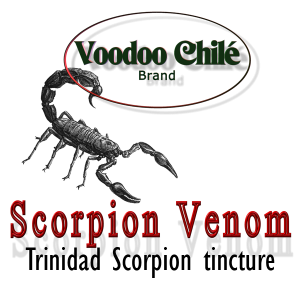 Voodoo Chilé does not pretend to be all things to all people. Equally as true is the fact that we do not pretend to make the hottest sauces on Earth. Others have “blazed” that trail before us, they’re still in business and they do what they do well. We focus on a limited line of sauces and we strive to make each one the very best available for its given style. Based on the feedback from our customers, chefs and others who love all things spicy, it appears we’re headed in the right direction. At the end of the day it boils down to personal preference and individual tastes. We hope our product line is one that agrees with your palate! Whether you are looking for a unique condiment, a killer addition to a favorite dish, a secret ingredient for your competition chili / salsa, or a marinade that will kick your favorite meat or vegetable up to a whole new level, we very well may have a sauce or few that is perfect for you! We are the Jack Russell terrier of sauce making when it comes to the relentless, tenacious pursuit of perfection. * Only the freshest and highest quality ingredients. * Born in the bowels of perdition…what more can you ask for from a hot sauce company?